When we meet a person for the first time, it leaves a print in our memory. Whether this print is pleasant or not depends on how you look and behave. And your haircut is playing not the last role in it. Any haircut is showing your belonging to a particular social group and represents your internal state. It is impossible to imagine a serious businessman with an undercut or a punk with a classic hairstyle. 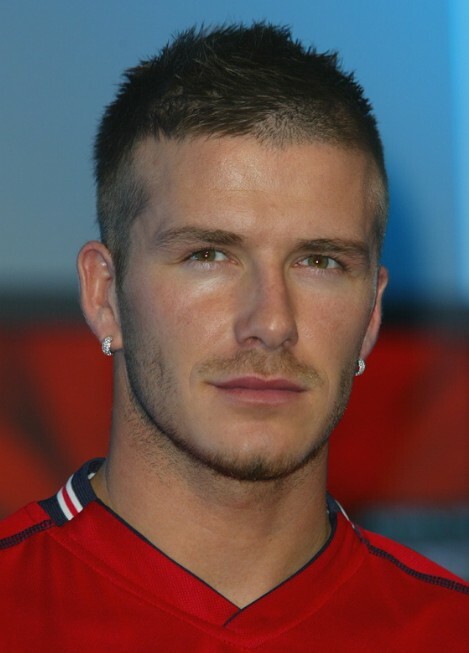 Romantic people go with a medium length haircut, business and sport people – with a short haircut. Such hairstyles as long hair, bobs and undercuts are for those who tend to follow the latest trends and usually for youth. Men haircuts are adjusted to the forthcoming event and clothes style. You should always remember your face type and head shape when choosing a haircut. It is a necessary issue in order not to look stupid. Round-faced men should make their features look longer. Therefore, they should cut their backs and sides shorter than on the top. The styling should be done upwards to increase the head height visually. Long-faced men should pay attention to asymmetric haircuts. They should choose short and medium-length haircuts. If you have got a very high forehead, you may close it with a long straight, torn or asymmetric bang. You shouldn’t style your hair high, it will prolong your face even more. This season’s trend is a long bang. It expresses the man’s features and is easy to look after. It is an ideal option for creative people as well as bob. Flap-eared people should better hide them with medium-length haircuts. Short ones will open your cons even more. Bob is a good option for flap ears. 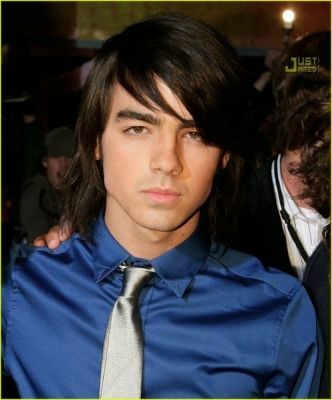 The hair is left long and the bang is short. It was extremely popular in the 90s. It is easy to look after because it keeps its original shape for a long time. Men haircuts depend on hair texture as well. Thin-haired men are not recommended to wear long styles. If you think it doesn’t matter, you will look ridiculous. 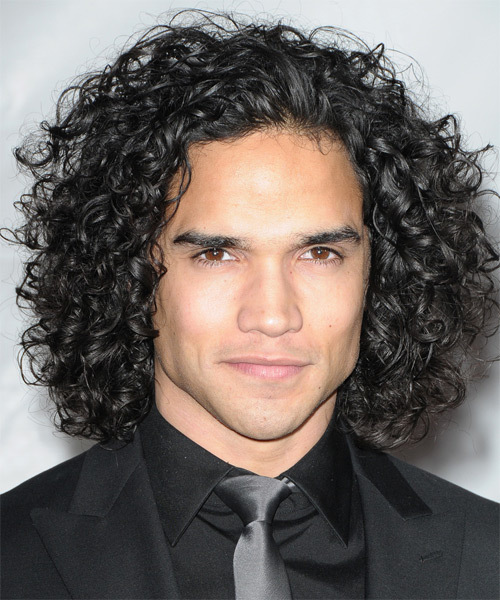 Long haircuts look nice on curly or wavy hair. If you have straight thick hair, you may choose almost any haircut. Very curly locks can be cut a little to look trendy. If you are an owner of thin hair, a graded haircut will be the best variant for you. A hairdresser will hide your cons with the help of grades which will create a visual volume for your hair. 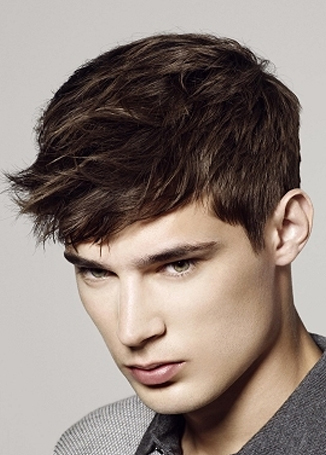 Greasy, normal and dry hair also influence haircut choice. The greasier hair you’ve got, the more dirt it will gather during the day. Therefore, the oftener you will wash your hair. Dry hair must be moisturized with every wash. Not all haircuts are suitable for dry-haired people. Men usually choose maximum plain accurate haircuts. Hair washing, drying and visiting a barber take a lot of precious time. Some people can’t afford it. Short haircuts are the best variation for such people as well as for elderly men and young kids. Military hairstyles allow expressing strength and power. They suit both young people and middle-aged men and go with any clothes. Classic haircuts are never out of fashion. They underline the masculine status. Young men often choose a haircut when all the head is cut very short and is left long at the bottom. Such haircuts are also popular among little boys. Another haircut young men often choose is a buzz. It doesn’t suit everyone because you have to have rough thick hair. Hair dying represents creative people. They express their seeing of life through a color-grade. Long-haired cuts range from straight hairstyles to braids, dreads and pony-tails. It’s up to you what to choose.